We are one of the well-known manufacturers and suppliers of Phosphating Tank for Metallurgy Industry. The offered phosphating tank for metallurgy industry is widely used, owing to the non-reactiveness of the tank body, during the metallurgical process. 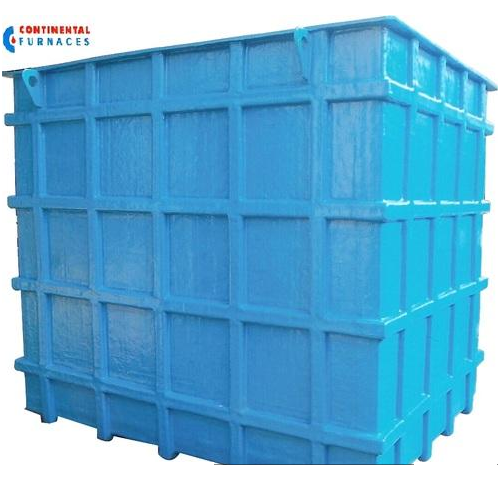 Our offered phosphating tank is available at very affordable market selling price. We at "Continental Furnaces", established in the year 1987 have industrial experience of many years. We have established as a manufacturer and supplier of Industrial Annealing Furnaces & Plants to meet the requirement of ferrous & non ferrous wire industry. Our range of products are highly appreciated by clients. Our products find an extensive application in wire industry, copper industry, stamping industry and a host of other industries for all type of wires. We are always endeavoring to offer quality equipment to our clients, we have a team of experienced technicians to meet the quality demands of our customer across the nation. We are continuously progressing under the blessings of our Team Leader, Lt. Mr. D. R. Upadhyay, who was graduate Engineer having 38 years of sound industrial experience in designing, manufacturing & production.